The Go debuted at last year’s CES, but now it’s coming to Kickstarter. Volo’s first product was the $39 Hero, an absorbent towel that also seems key to the Go’s success. 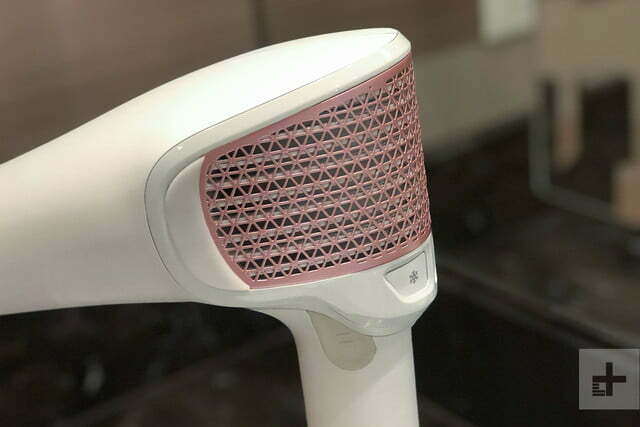 You probably don’t want to turn on the device if your hair is sopping wet, as the cordless dryer only has about 14 minutes of battery life on full power. On medium, it lasts for 24 minutes, but it can run for over an hour on its cool setting. 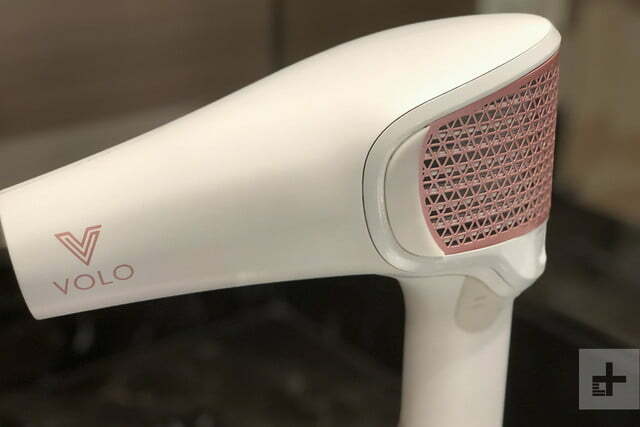 Unlike your typical hair dryer, the Go uses infrared heat. 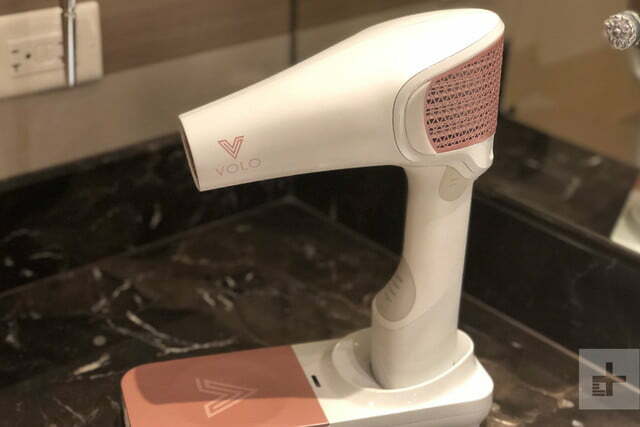 That makes it faster and makes the results less frizzy, according to Jonathan Friedman, co-founder and president of Volo. The 600-watt dryer also uses less power than corded dryers. Not all hair is created equally, though. It might take the Go around five minutes to dry a head of fine, medium-length hair, but for someone with thick, long curls, the process could stretch to 11 minutes, said Friedman. 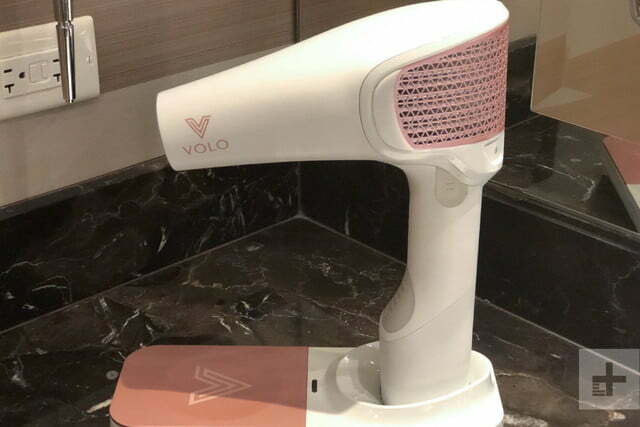 During testing, Volo found the hair dryer takes an average of about seven minutes to dry hair. That sounds fast, but the dryer is over two pounds. For comparison, the Drybar Buttercup weighs just over a pound, while Dyson’s hair dryer is 1.8 pounds. While we got to see and feel the Volo Go, we didn’t get a chance to test it out and see if it really could do the job in about five minutes. If the battery isn’t sufficient to dry your luxurious locks, Friedman says users could buy a separate battery as well. A professional version will have a charging bay for several batteries, which take about two hours to top off. 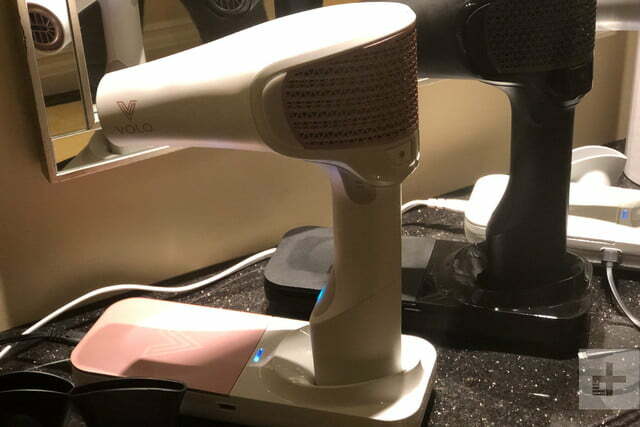 The swappable battery means the hair dryer, though bulkier than compact models, becomes a little easier to pack in a suitcase if you dismantle it. When it goes on pre-sale through Kickstarter, the Volo Go will be discounted from its future retail price of $399. The full cost is about the same as the Dyson Supersonic and $50 more than Harry Josh’s celebrity-endorsed device. As always with crowdfunded projects, it’s backer beware.